Summary: When they were children, Sae, Maki, Akiko and Yuko were tricked into separating from their friend Emily by a mysterious stranger. Then the unthinkable occurs: Emily is found murdered hours later. Sae, Maki, Akiko and Yuko weren't able to accurately describe the stranger's appearance to the police after the Emily's body was discovered. Asako, Emily's mother, curses the surviving girls, vowing that they will pay for her daughter's murder. 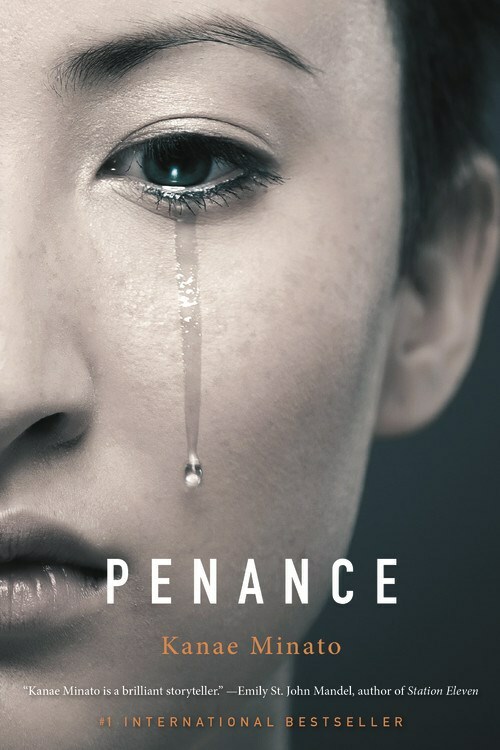 Review: Penance starts with a letter from Sae to a woman that attended her wedding, explaining how she came to know her husband and why, eventually, she had to kill him. Whoa, ma'am! I knew right then that this was going to be an interesting read. As Minato delves into the lives of each girl, now women, that were with Emily at the time of her death, readers see that though Emily was the one that died, all of the girls were victims of the crime. And one by one, each becomes a criminal in her own way. Because each girl has a different personality and played a different role within their group of friends, their perspectives are different. So it's interesting to watch the same story retold from their unique points of view. Quiet Sae believes that the murderer will come back to find her and leaves her small village for the big city where she can blend in and never be found. Maki becomes a teacher, determined to protect her students from the fate that befell Emily. Akiko has become an unstable homebody who continues to live with her parents and only finds joy in playing with her niece. And Yuko, who believes she has outsmarted the curse put upon the girls, finds that she really hasn't. Minato's words brought each character to life and curiosity about the french dolls the girls referenced led me down a wormhole. While I did find the french dolls, and they were a bit creepy, I also found that Penance was made into a mini series in Japan and was shown in the U.S. in 2014. It's currently on Amazon Video, so I know what I'll be watching this weekend. I can only hope that it's as fascinating as the book.